It’s always fun if all things we’ve made are beautifully displayed and effectively useful. Like these DIY lamps, we’ve shared some inspiring ones to adopt by you if you are interested to try. 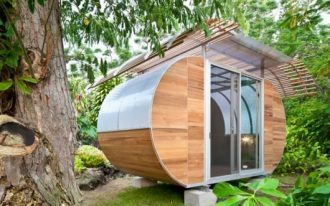 Made of cheap and affordable materials (most are daily-use stuffs like paper, wooden, even metal), we really sure that these products are easy to made in minutes. Make yourself more creative by making this beautiful DIY floor lamp. Made of paper bag, the lampshade offers the uniqueness. 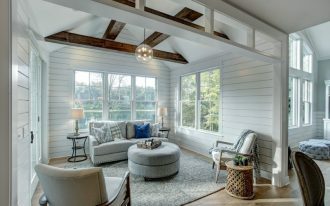 When the light source is on, the lampshade produces bold but warm-look light effect, making the space around looks dimmer but romantic. 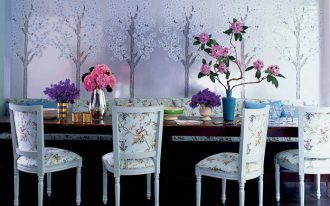 The overall design is also so stunning. 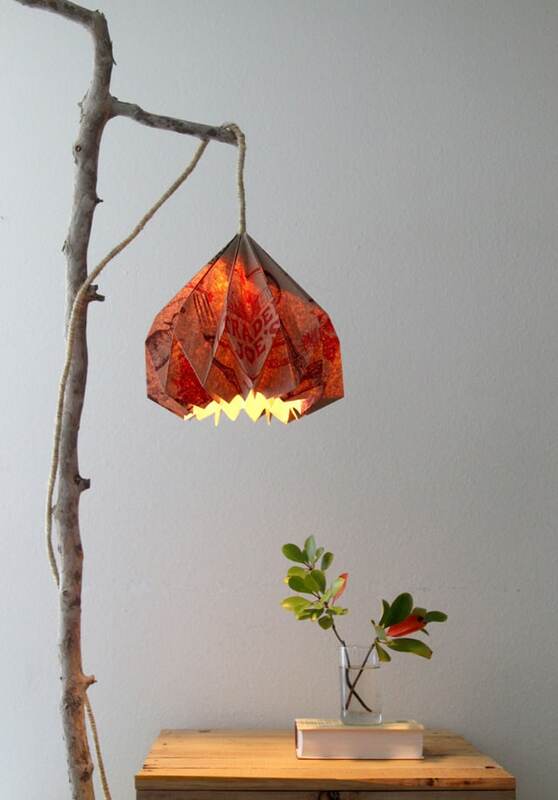 Supported by a thin tree trunk, this DIY lamp looks special, really exposing up-cycling and money-free lifestyle. 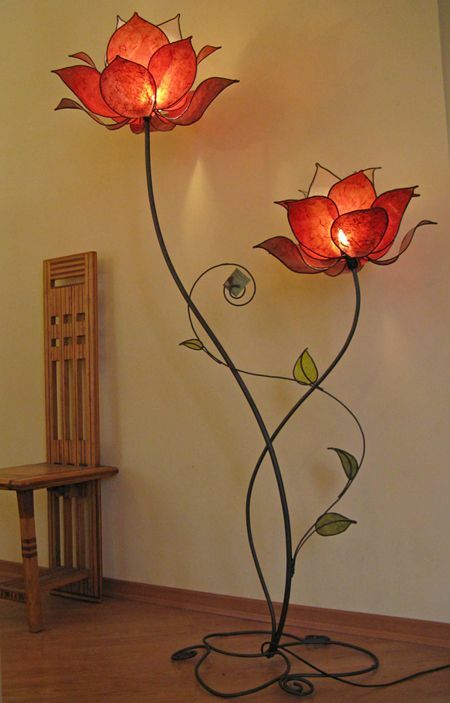 Flower lamps made of stained glass and metals. It looks harder to make, but supported with some tools used by pro, you can make them. Each stained-glass petals would produce beautiful glam when the electric bulb is on. Really creative. 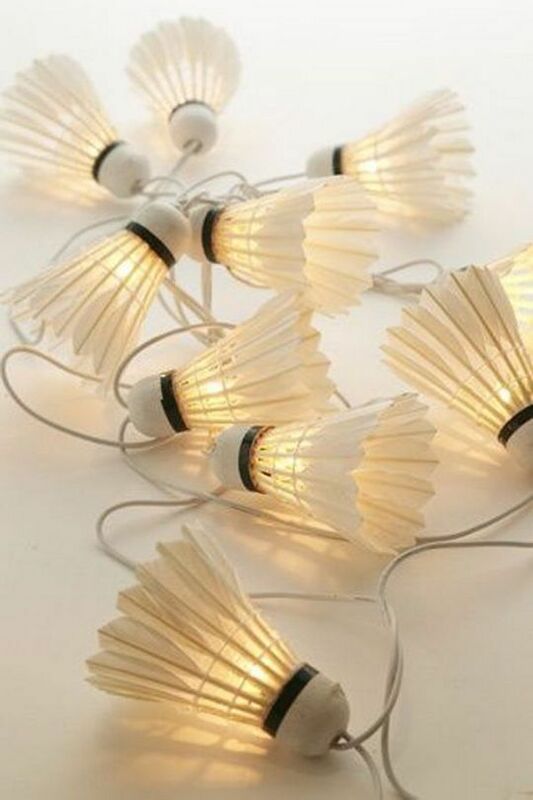 You can re-use your shuttlecocks for your next DIY lamp project. Switch the old string lamps into such unique ones. 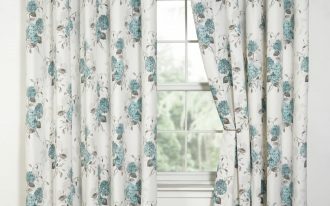 Make them a string of accent to your favorite room like bedroom. It’s very simple. 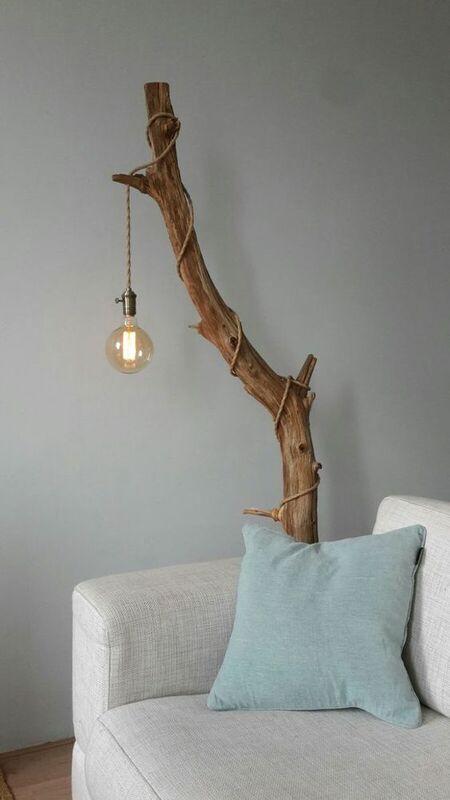 You just need a medium-sized tree branch and an electric bulb with some meters of cable to make this corner lamp. To make it steady, plant the branch rightly on concrete pot. Then, just twist the cable on the branch for more decorative look. Hang up the bulb exactly on the cut-edge branch and let it ‘flowy’. 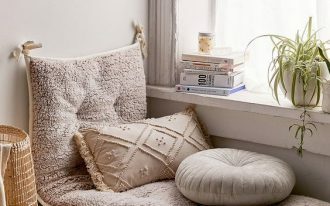 This DIY lamp, of course, looks so interesting, recommended for a reading nook. Look so grand. Etsy’s Macrame lamp can be your inspiration for your next fun project. 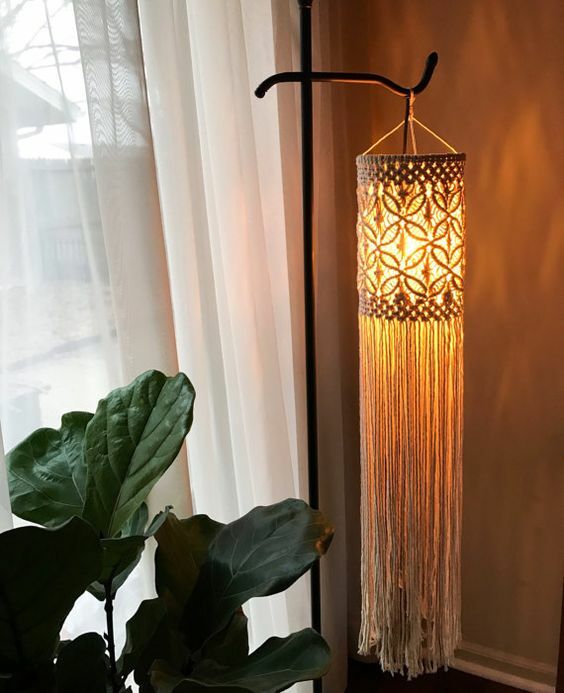 It’s optional whether you wanna made one with long and flowy macrame’s base or just ordinary-model macrame lampshade. Both are so beautiful and modern Boho makers. 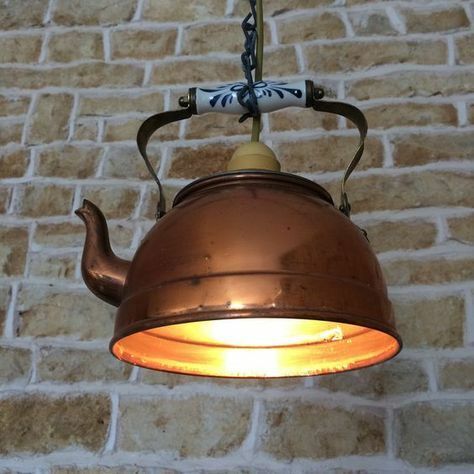 Another creative artwork, DIY kettle lamp. 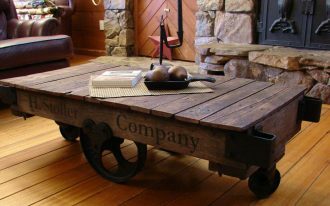 This is a proof that you can re-use the old stuffs from your kitchen. Not only the kettles, you can also pick the old & unused tableware like teacups, teapot, and rice-bowl for next DIY lamp projects. 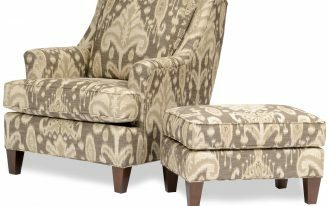 Amazingly easy and distressed. This DIY lamp gives us a big chance to be more creative. 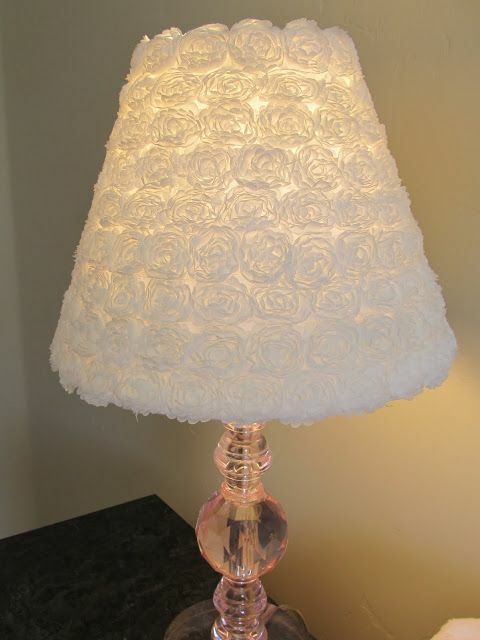 Only covered with rolls of white fabric pieces, this table lamp looks so gorgeous, giving a glam of shabby-chic look just in minutes. Out-of-box artwork, a keylight. 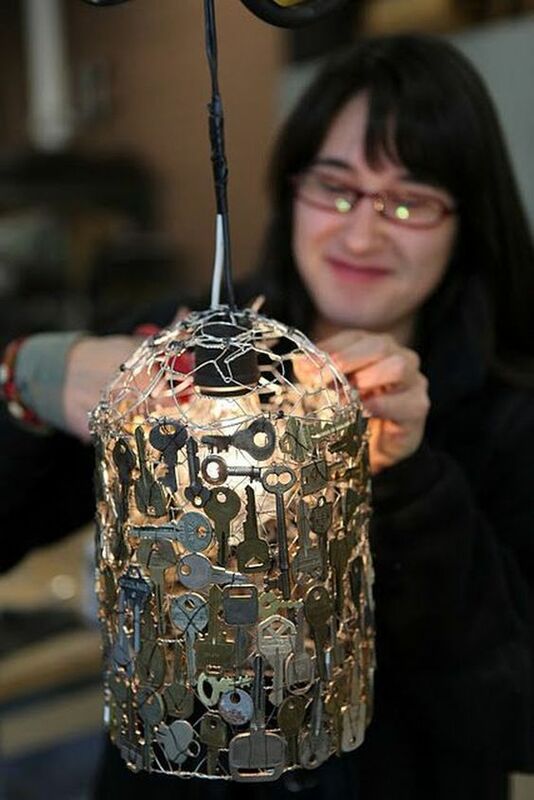 This pendant light is made of metal wire frame covered with the glued keys. 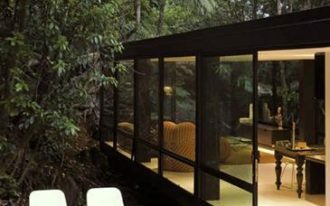 For the light source, the designer uses a medium-size electric bulb and installs it rightly on the center of pendant. Colorful & fun. This DIY lamp simply uses a lot of colored buttons and make them as the cover’s decorations. The color and shape of button, of course, will give the texture and direct interest in this lamp. 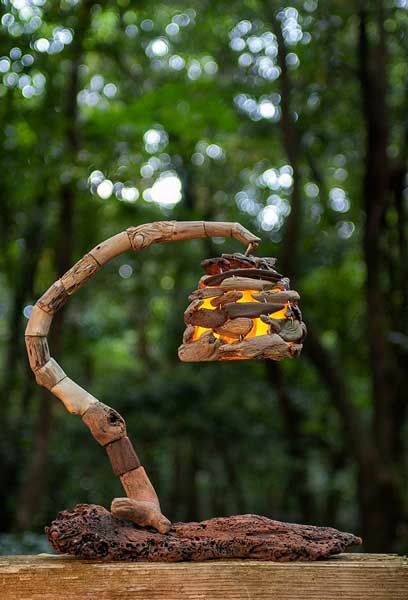 Get raw rustic appeal only through your DIY outdoor lamp. This beautiful artwork, for example, showcases a well-arranged wooden piece of lamp’s branch and lampshade. All wooden pieces are the random cuts that are then managed into such a creative light fixture. Both the lampshade and branch are still exposing the original texture and tone of organic wooden.